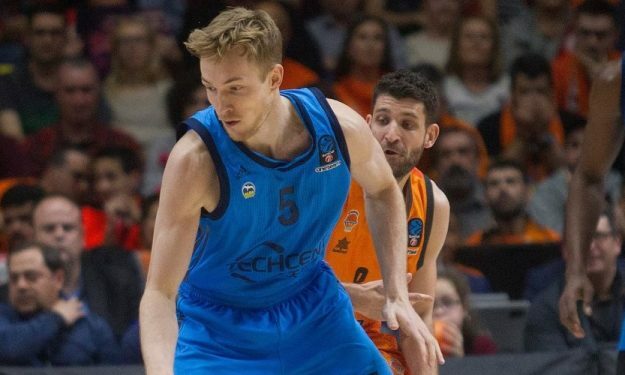 ALBA Berlin tied the best-of-three series versus Valencia and highlighted both the Top 3 and the Mini-Movie of the 7DAYS EuroCup Finals Game 2. The second game of the EuroCup Finals best-of-three series featured many highlights, but only a selected few made the cut for the 7DAYS EuroCup Finals Game 2 Top 3 Plays. Niels Giffey with a hand from Joshiko Saibou secured first place honors, clutch Peyton Siva ranked second and Will Thomas helped by Matt Thomas was third. It will come down to a third game, which will be played in Spain on Monday. ALBA forced Game 3 with the home win on Friday. Here’s the chance to look back on the thrilling Game 2 action.